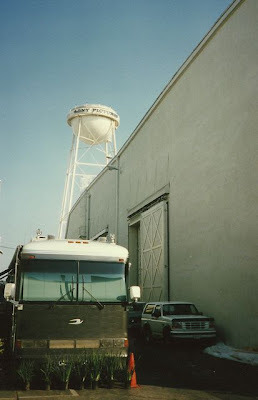 Back in 1996, a friend working at Sony Studios gave a group of us an after hours tour of the studio lot. Sony Studios occupies the former MGM studio in Culver City. There is a vast amount of film history here, especially in what is often referred to as Hollywood's "Golden Age." Sony spent $100 million on some needed and actually very beautiful remodeling and updating after purchasing the studio in the late 1980's. 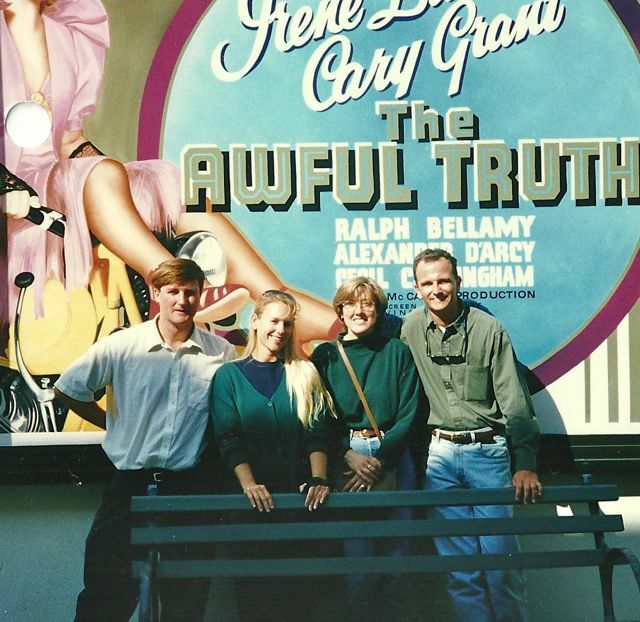 Friends and I next to a poster for the 1937 film "The Awful Truth" staring Irene Dunn and Cary Grant. I know, I had never heard of it either - but it won an Academy Award in 1938. 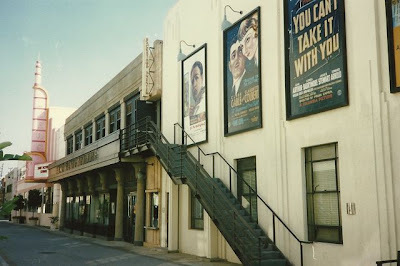 Sony is very much a working studio lot, with the majority of space taken up by twenty-two massive sound studios, the largest one occupying 43,000 square feet (almost an entire acre). In some cases, the narrow streets between buildings double for streets and alleys that can be used for filming. 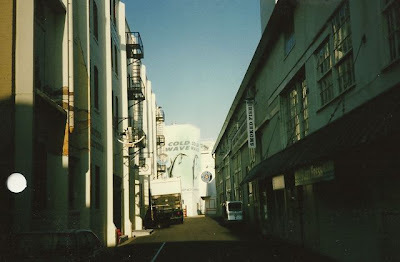 While we were able to take a few photos outside the various sound stages, photography was ABSOLUTELY forbidden on any of the sets. This was outside the set for Jerry Maguire. 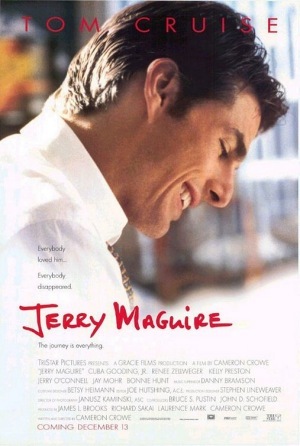 Inside was the set featuring the interior and exterior of the house (and backyard) featured in the movie. 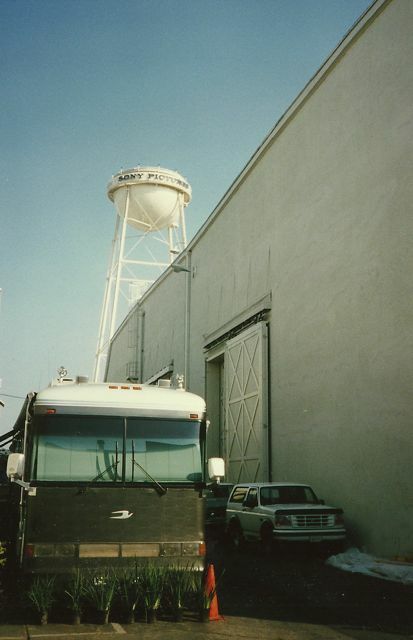 The Sony Studios water tower outside the same sound stage. 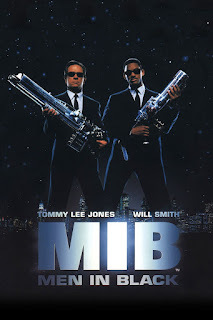 Another highlight - but, again, NO photography allowed, was stepping onto the set for Men in Black. 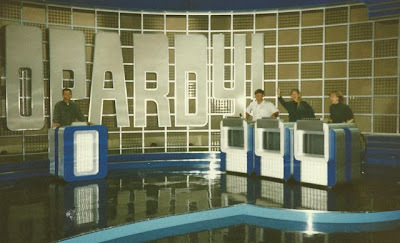 The crew was going late that evening, and so we were able to see a working set in action. And, obviously, we had to be very quiet. 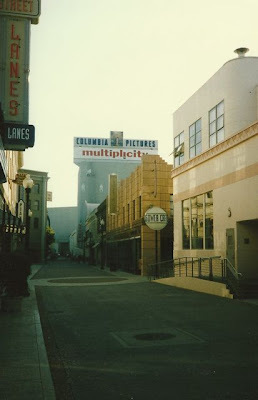 Another view of one of the streets in between sound stages. This one I believe is called Main Street. 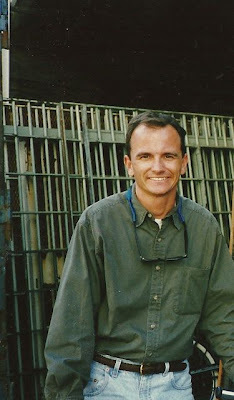 A younger me next to some props outside one of the sound stages. The one sound stage where we were allowed to take a few photographs was on the Jeopardy! set. Behind the magical bank of TV screens. 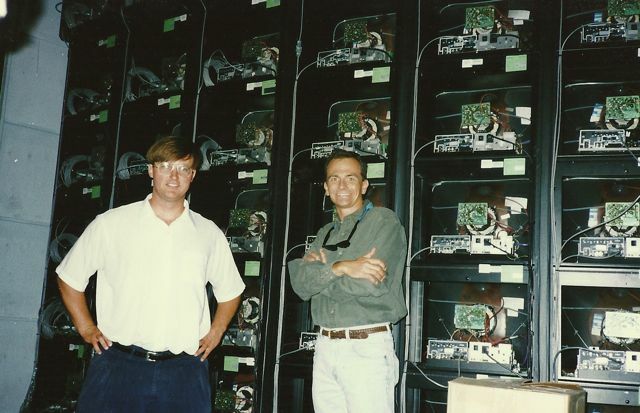 This was fifteen years ago - I'm pretty sure they've updated them to flat panel monitors. Getting to play the role of Alex Trebek, who has been the host of Jeopardy! since 1984. 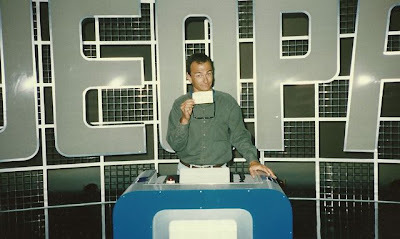 Alex Trebek (or someone) had left a little post-it note at the podium: "What is Life?" Great question, one few people seriously consider. 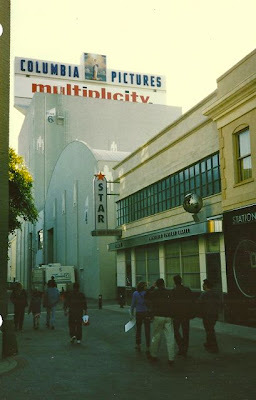 These photos were all pre-digital, I just recently scanned them. Good times and good memories from our private, after hours tour. Since that time, the good people at Sony have started offering daily tours for $33, as well as an evening tour on Thursdays for $28. If they're anything like what we got to see, it's definitely worth experiencing. 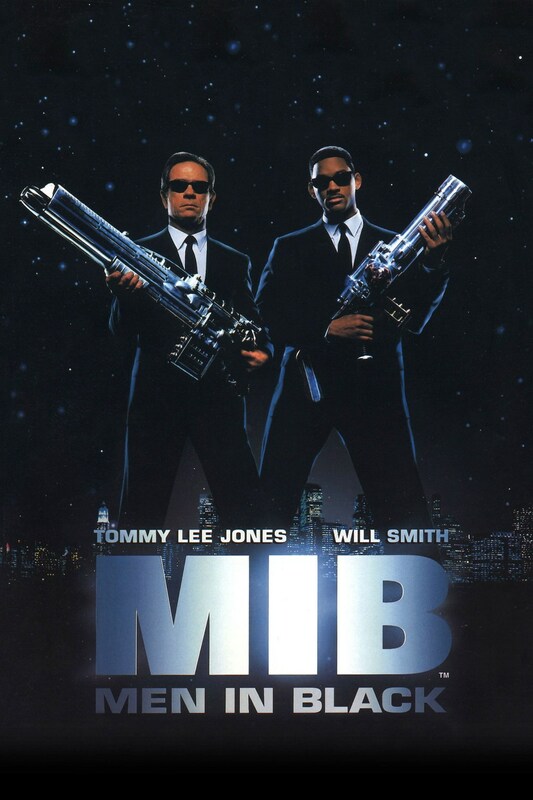 Happy 50th Birthday this coming Tuesday. May you be blessed with another 50 years. It has been great having you living in SLO. Happy 50th Birthday, David. May our Lord continue to bless your life. Happy Birthday Dave! The pictures look great! When will you be starting an "Experiencing San Luis Obispo" blog? Happy Birthday, David! Hope you have a great day! 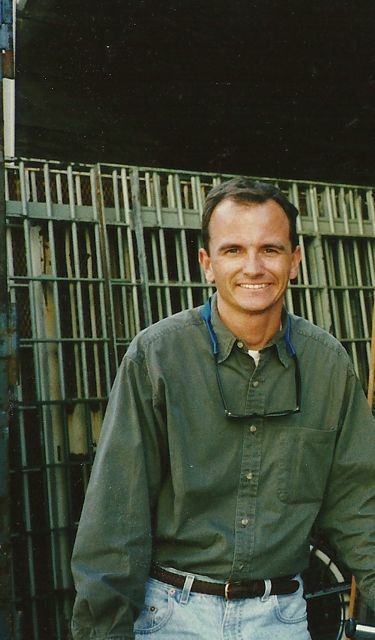 Happy Birthday Dave! Never realized your birthday fell exactly on the anniversary of manned space flight. hope we can hook up soon now that we're practically in the same town again. 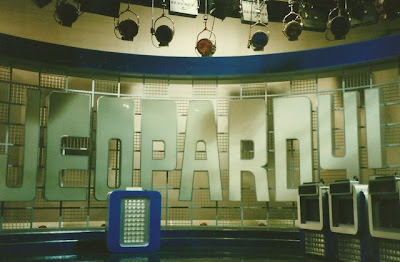 Say, how do you suppose those Jeopardy letters lit up in different colors? 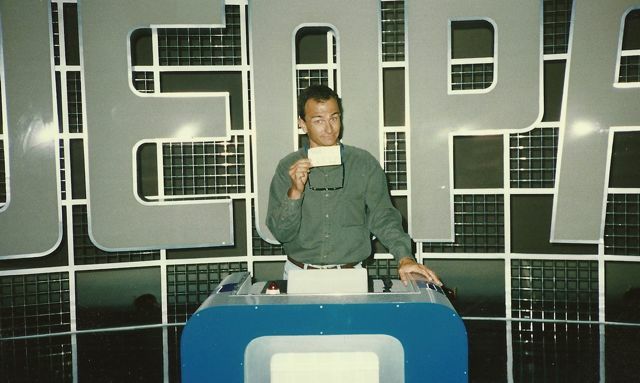 I'm dying to know the secrets of the set circa 1996.